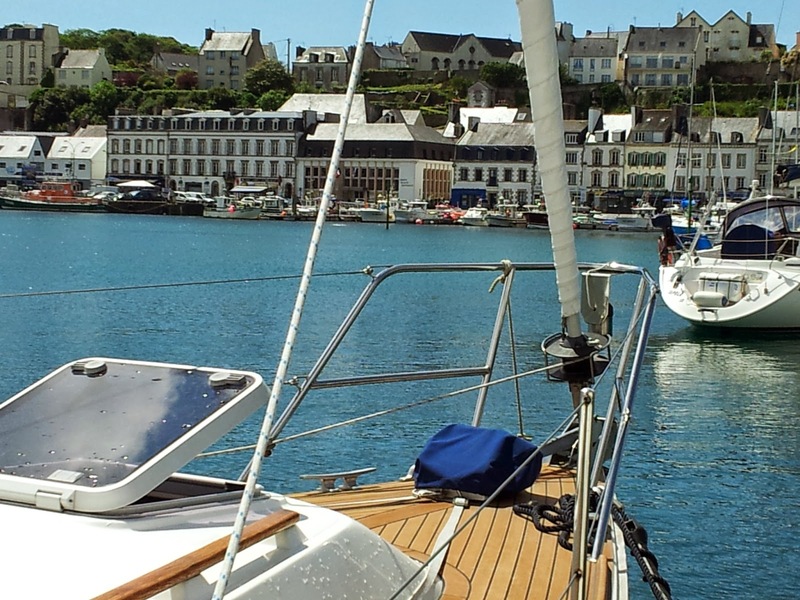 We left Trebeurden last Wednesday bound for L'Aber Wrac'h on the NW corner of France. In my opinion that day showed that the French weather forecasters are not much of an improvement on their British counterparts! The "suggestion du jour" was E4 reducing to E2 in the afternoon. A very nice suggestion with a following wind. What we got was top end of NE4 to start then NE/E 5 and 6 from noon onwards including gusts to 33kn. As some of you know this north west corner is renowned for significant swell so we had that to cope with too! The good news is that we sped along and did 52nm in 8 hours despite fighting the tide for the first 3! What we did achieve for the first time was a passage through the channel between Ile Batz and Roscoff. What Tom Cunliffe describes in the Shell Channel Pilot as a "rock strewn chamber of horrors". We have seen it (from above Roscoff) at low water with rocks and sand bars everwhere and agree! We passed through at high water, a flat sea and motor sailed. Very satisfactory and beats going around the outside of Ile Batz notorious for its rough seas and heavy swell. We had planned just a night in L'Aber Wrac'h but strong winds suggested a longer stop.That day we had nearly 18 hours of rain! On Saturday the weather was much improved and amongst other things we did an 8m return walk to the nearby town of Pont Croix listed as a "Petite Cite de Charactere" and very attractive it is.